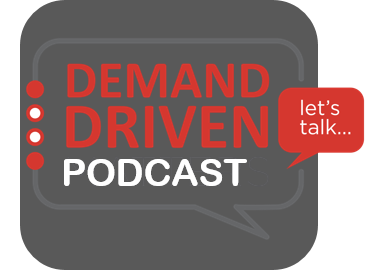 Occasionally, someone will mix up DDM (Demand-Driven Manufacturing) with another DDM acronym in our industry: Data-Driven Manufacturing. There are similarities. For example, executing demand-driven principles relies heavily on data and shop floor visibility. However, it doesn’t stop there. In this post, we’ll take a look at Data-Driven Manufacturing and why it’s useful but not enough to help you reach your goals. One of the main problems with data is that it’s just data. It passes no judgment on whether the results you’re getting from the shop floor are good or bad. 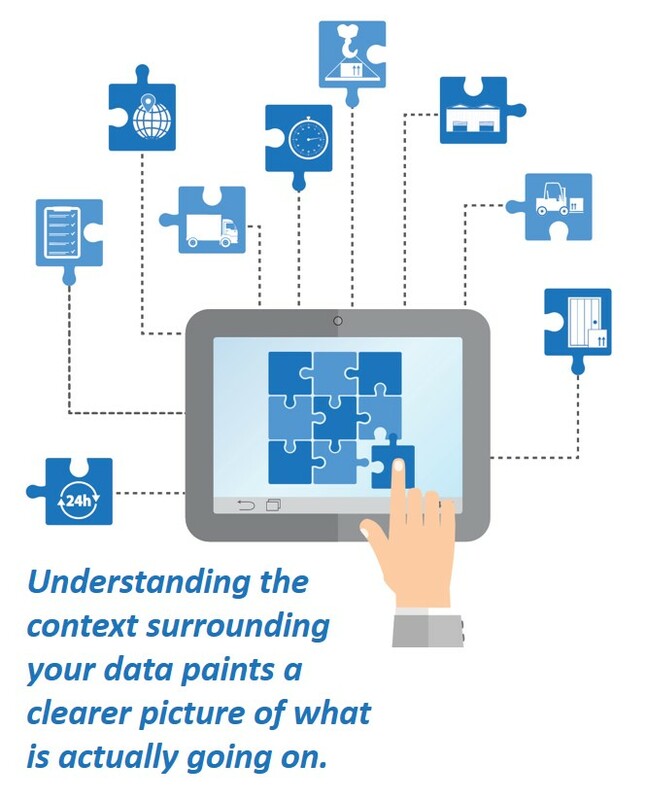 Nor does data provid e guidance on how to use it to improve operations. As an example, let’s say you’re monitoring the utilization rate for a new piece of equipment in which you recently invested several hundred thousand dollars. Suddenly, the utilization rate starts dropping. Is that good or is that bad? The knee-jerk reaction you’ll probably get from your average, stressed-out production manager (or the CFO that signed off on the order for the equipment) is that it’s bad. However, to make that call, you need to put the data into context. 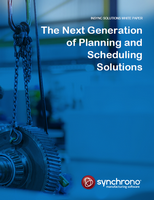 Maybe your new equipment is so efficient that it is no longer a constraint in the system. At the lower utilization rate, you are still producing product fast enough to meet demand. In that case, the drop in utilization rate isn’t a problem. In fact, if you can find profitable ways to use that extra capacity, such as taking on new business, then the drop in your utilization rate is actually an opportunity. Trying to address the “problem” without putting it into its proper context could lead you to produce more than you need, which could lead to even greater problems like inflated inventory levels. 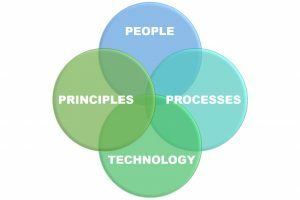 You often see continuous improvement talks or articles that promote the idea of the three levers of improvement: people, processes, and technology. To that, I’d like to add a fourth: principles. I’m not talking about ethical principles as in “doing the right thing.” (Although that’s never a bad idea.) 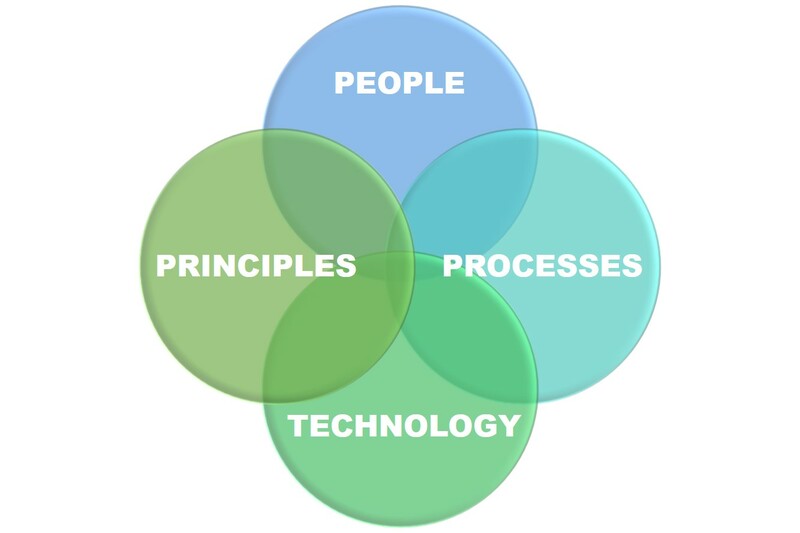 I’m talking about manufacturing principles such as Lean, Theory of Constraints (TOC), Flow. and Demand-Driven Manufacturing. In the example I gave above, in making a judgment call on whether the drop in utilization of your expensive new equipment was good or bad, we put it into the context of Demand-Driven Manufacturing and TOC. 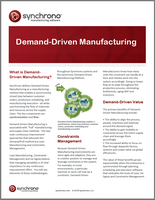 Many manufacturers take a principle-agnostic approach. 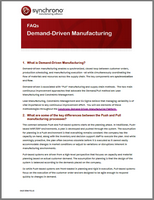 They don’t necessarily discount that concepts like Lean, TOC, and Demand-Driven Manufacturing have something to offer, but they understand push manufacturing and MRP because that’s the context they’ve been using for years. 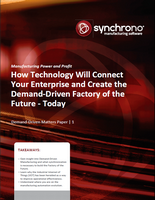 Instead of jumping wholeheartedly into something new – though most of the concepts behind Demand-Driven Manufacturing are hardly new as they’ve been around since at least the middle of the last century – they figure they’ll just take the best from all of these principles and combine them into a holistic approach to continuous improvement that is as unique as their organization. Unfortunately, this just creates chaos in an environment that is already prone to chaos. Without common principles, senior management might issue an edict to improve productivity and efficiency, while shop floor managers initiate a pull-based skunkworks project. Individual work center operators see one thing from the CFO and the COO, but hear another from their manager. In the end, no one knows quite what their priorities should be. If you’re still taking the agnostic approach, we can help. 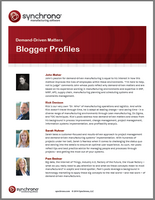 John Maher recently wrote a series of posts exploring the use of TOC, Lean, and Six Sigma in a demand-driven environment. In addition, we have a number of white papers that may prove useful such as our Kanban Series White Paper: Gaining Control: Exploring Push v. Pull Manufacturing. Finally, we also have a recorded presentation on YouTube explaining Theory of Constraints if you need a refresher on the concept. And as always, I welcome your questions and comments. Either reach out to me directly or add them in the comment box below.